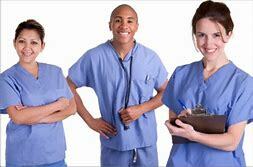 Training for an exciting and rewarding career as a Clinical Medical Assistant has never been easier. In today’s busy medical practices, Clinical Medical Assistants are vital members of the medical team. In this course, students will learn to assist the physician in providing quality patient care. Students will learn to obtain patient vital signs, assist with minor medical procedures, perform simple laboratory tests, give injections, perform venipuncture (phlebotomy), administer medications and more. This program includes a 160-hour externship where students will be placed in a private practice, clinic or urgent care facility. (133-hour classroom training, 160-hour externship). Textbook sold separately. Where lifelong learning never ends!